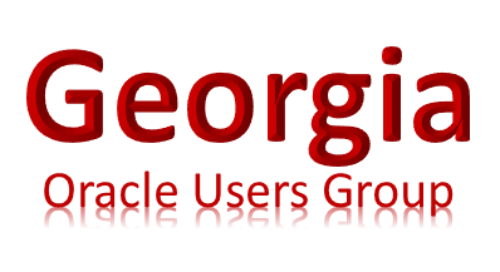 Hands-On Training: This Oracle user community cloud special interest group session offers a workshop for Oracle technology professionals to obtain cloud experience using Oracle Public Cloud and Oracle technology on-premises together. Database Development: Sessions will cover concepts and techniques for database administration and development. Topics include Oracle Database, Oracle RAC, Exadata, APEX, SQL Developer, Java, MySQL, MS SQL Server, Cloud (IaaS), and more. Big Data: Our Big Data content will focus on data management, including data ingestion, data streaming and general data pipeline concepts. Sessions will cover Apache Kafka and it’s integration with various Oracle Data Integration products. We also have sessions examining how new approaches to data management fit into the enterprise world. Middleware: This will include concepts and management techniques for web servers, application servers, and portals. Examples include Java EE servers (e.g. JBoss, Tomcat, Oracle WebLogic, IBM WebSphere, etc.) ODI, GoldenGate, Web Services, Service Oriented Architecture (SOA), ESBs, REST, Web Center, Application Integration, XML, JSON, Cloud (PaaS), and more. Applications: Sessions will apply to all the Oracle applications product lines, including E-Business Suite, PeopleSoft, Siebel, JD Edwards, Cloud (SaaS), and more. Sounds great I know. In addition, registration to the event includes a 1 year membership to GAOUG. For my role, I’ll jumped on the cloud bandwagon a while ago and will be presenting on that technology. My session on cURL and REST with JSON will take look at how I used APEX packages and PL/SQL to send REST request to a private cloud and parsed the returned JSON document. The process will include a high-level overview of creating a DBaaS using OEM 12c and then we will dive into the JSON documents data returned from the cloud APIs and look at suggestions on how you can use this information to build out an application and interact with your users. If we have time, I’ll cover some updates in the Oracle 12c database where there is native JSON support. I’m looking forward to seeing you there. If you want to learn more about GaOUG Tech Days and the other impressive speakers, check out the blog hop posts below! What is a blog hop? It’s a group of bloggers who all get together to blog on a similar topic, giving you a lot of useful information from different perspectives, but in one stream. Enjoy your “hop” between blog posts and register for GaOUG Tech Days today! Next Late to the Docker game?